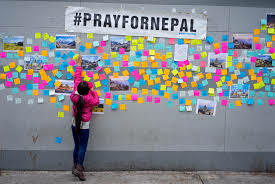 Sending my heartfelt thoughts and prayers to all of those affected by the Nepal Earthquake. Should you be interested in donating to the earthquake victims, I found this insightful article, What You Need To Know Before Donating To Earthquake Relief For Nepal. CNN provides a list of charities that are seeking support.